Your smile is often one of the first things people will notice when they meet you. Having bright, white teeth is a great way to exude confidence when introducing yourself to others. Unfortunately, not everyone naturally has pearl-like molars. According to dentists, regularly using whitening toothpaste in your home oral care routine could help correct this problem, but a professional treatment is more sustainable. Whenever you eat or drink food and beverages, it causes a layer of film made of foreign material, known as the pellicle, to accumulate over your enamel. This added layer protects the tooth from acids that occur in the mouth after eating. However, this film also allows micro-organisms to thrive within the mouth that will eventually form plaque. Additionally, the longer the layer sits on top of the porous enamel, the more likely the foreign elements can seep down into the tooth where their staining agents are unable to be brushed away or removed during your dentist visit. Once these deeper stains occur, you’ll need a more abrasive approach. Whitening toothpaste uses bleaching chemicals, such as carbamide peroxide and hydrogen peroxide, to penetrate deep into the enamel and cause an oxidation reaction to break apart the staining compounds. While using whitening toothpaste regularly will help to minimize deep-set stains on your enamel, visiting your dentist for professional teeth whitening treatments will help to remove all of the stains. It’s also less time consuming as any toothpaste or other over-the-counter whitening treatment takes time to produce minimal results. Instead, you can visit your dental office and have sparkling-white teeth in under two hours. As a bonus, this quick trip will provide longer-lasting results — in some instances, up to a year. If you are tired of looking at yellow teeth, contact the dentists at Stadler Dental Care about their teeth whitening services. 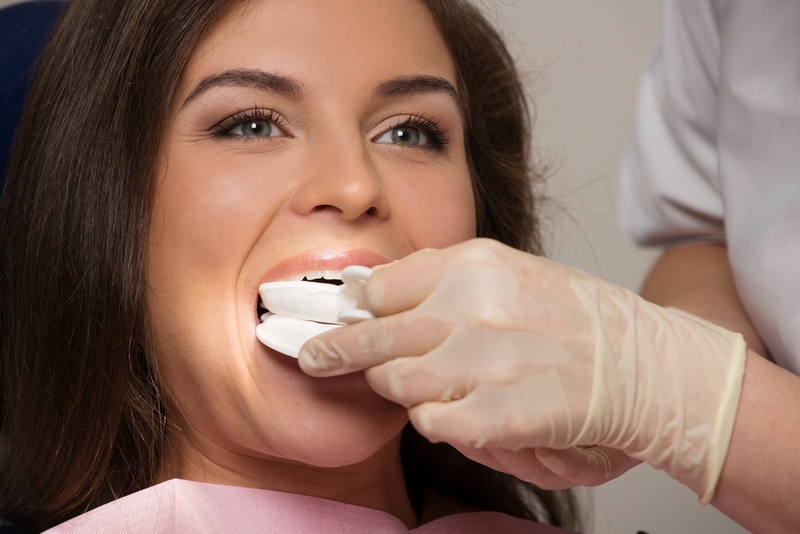 They provide dental care and cosmetic dentistry for families throughout the Columbus, NE, area. In addition to solving discoloration with custom bleaching trays, they also offer crowns and veneers in a variety of shades. Call them today at (402) 564-4093 to schedule an appointment to find out which option is best for you and visit their website to learn more about their other oral health services.